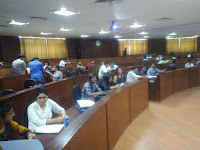 It was great to be playing once again the Beer distribution game developed by Massachusetts Institute of Technology (MIT) at Alliance School of Business, Bangalore, reinforcing the relationship between two great Institutions and working to strengthen their relationship. 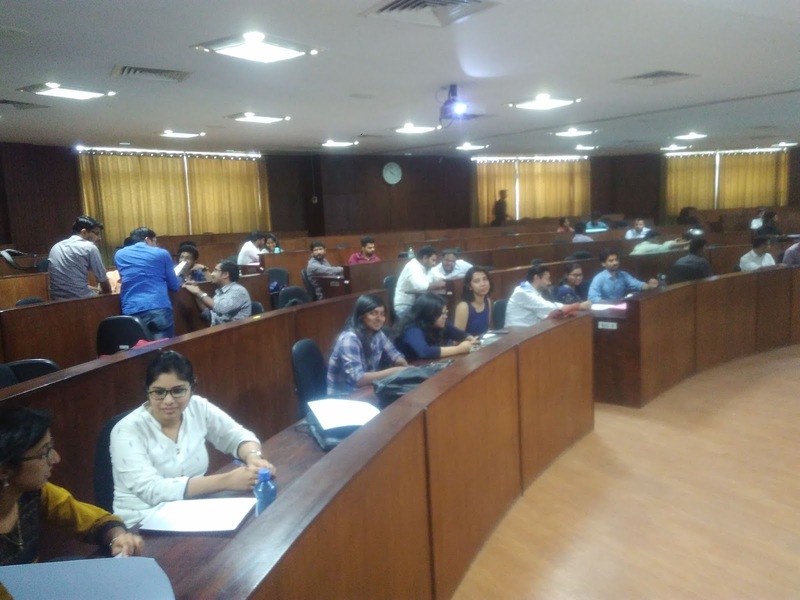 The beer game was played by MBA students in the subject of supply chain management of Alliance School of business sem 4 and sem 2, Operations stream in March '18 at AU. This is the sixth continuous year, the game is being played in the University. The game was played in the seminar hall by dividing the students into six teams of ten members each. The session was in full swing with all the entities extending full support. 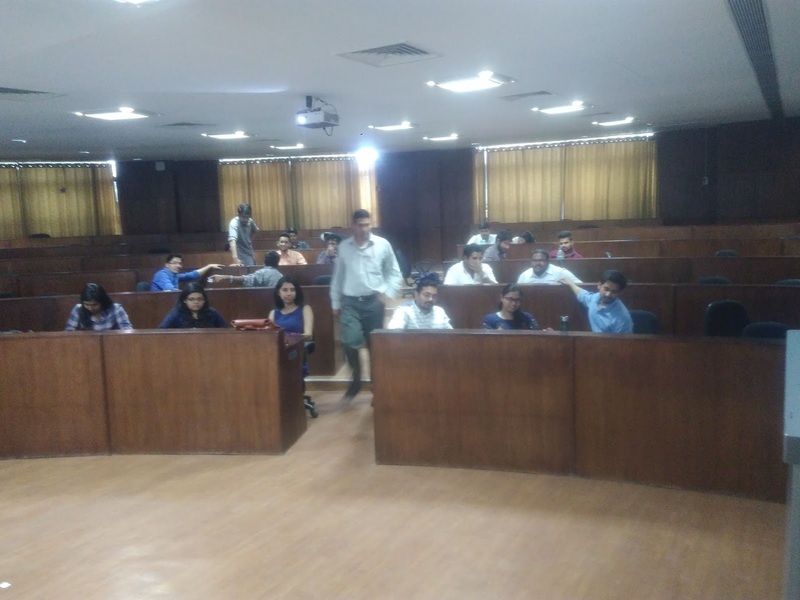 After giving time for discussion and contemplation and thinking, the students assembled the following day to discuss the nitty gritty of the game like the impact of improper or magnified information flow, the order variance amplification effect - commonly called the Bullwhip effect etc. The game was played by analysing two important aspects, costs and orders placed. 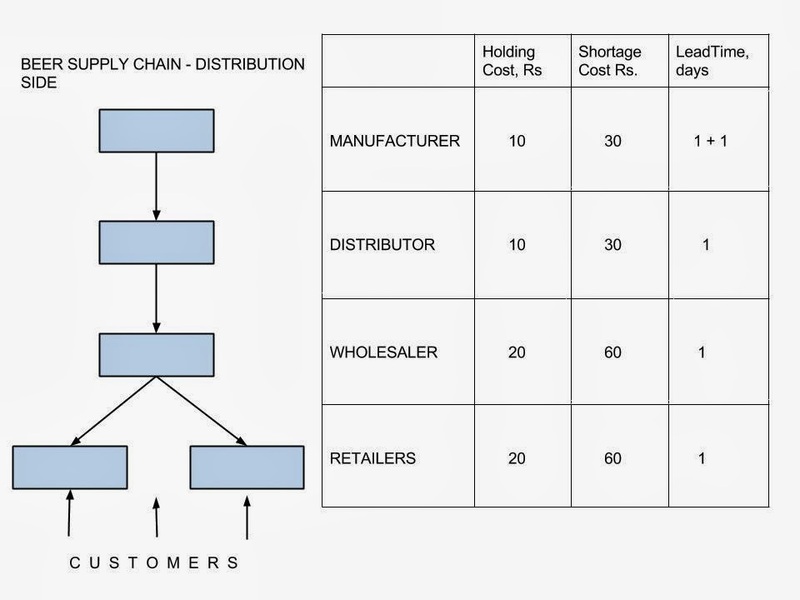 Higher costs naturally have an impact on the profitability of the supply chain and higher order variance in the supply chain result in higher magnitude orders being placed. The higher inventory stock at different stages in the supply chain again increased the costs, affecting the profitability negatively. Supply chain costs, though inevitable, are a pain for any supply chain manager. 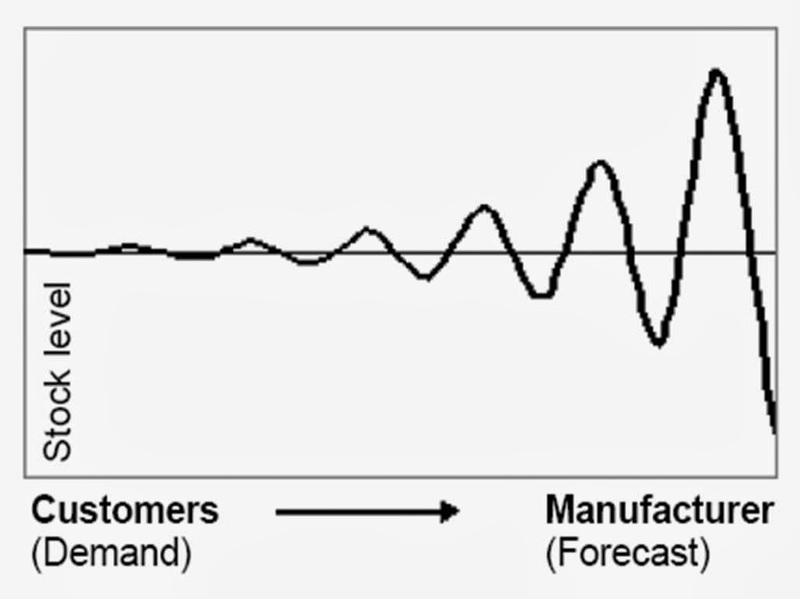 Shortage, excess holding and obsolescence are inevitable in any supply chain. 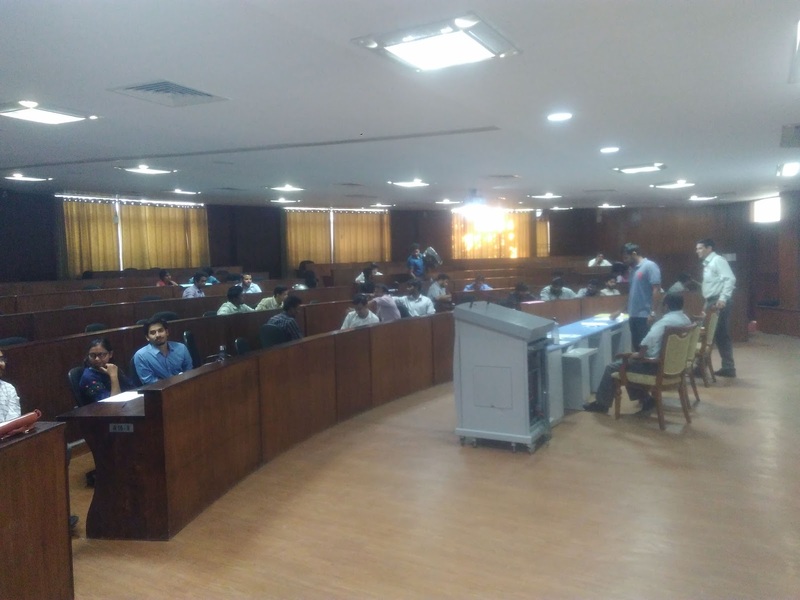 But the realization that the customer is not ready to incur these costs due to the suboptimal performance of the different SC entities like retailer, wholesaler, distributor, manufacturer in the distribution side is very revealing and new information to the students. The supply chain costs realised while playing the game by all the six teams is given here. These SC costs are taking away from the SC profits which the SC entities would otherwise have earned had they stocked enough and played the game intelligently. But the uncertainties and the selfish objectives of stocking more to prevent shortages in future led to the stocks at the entities varying considerably, leading to excessive costs of holding, shortage and at the end of period, obsolescence costs. 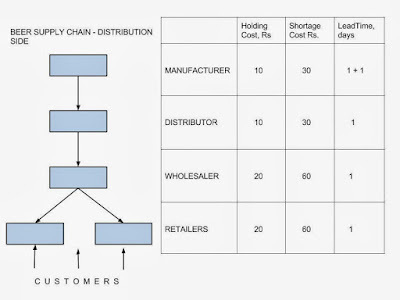 supply chain as a whole. This game has demonstrated why managing the supply chain well is critical to improving the profitability of the organization as a whole .. Most important learning from the game. 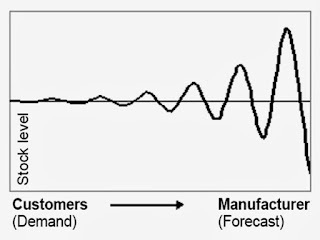 While analysing the mean and standard deviation of orders placed by the downstream entities on the upstream entities right from the retailer to whole saler, wholesaler to distributor, distributor to manufacturer and finally manufacturer to supplier, it was found that irrespective of the supply chain, there was amplification of the orders placed and amplification of the variance of the orders placed - this is the phenomenon, most commonly referred to as Bullwhip Effect. An interesting aspect was regarding risk pooling aspects. Risk Pooling of the downstream entities like retailers, wholesalers, distributors etc, by centralising the inventories, instead of having decentralised inventories, would have reduced the variance amplification in the orders placed. Lateral pooling of inventories would have thus helped in mitigating the bullwhip effect to some extent. Overall the Beer Distribution Game played had great learning inputs for the students. In addition, in a practical setup, they understood how in spite of noble objectives of the entities to keep supply chain costs low, any one entity aiming local optima in the system could disrupt all the entities costs very much and topple the apple cart .. Thanks once again to Massachusetts Institute of Technology (MIT) at Boston for providing such a great idea through the game to understand the dynamics of variation of supply chain costs ..
We are lucky to play this as live game and a great learning. Surely it will help us to know the supply chain better in the industry where we will work.